Good things come in 238-square-foot packages. It’s not hard to grasp the allure of the tiny home. We’re living in a post-Marie Kondo world. We pride minimalism and hail lagom (the Swedish term for “just the right amount”) as the new hygge. We love stuff, but we’re trying to be more thoughtful about it. A tiny home forces a complete declutter, serving as a representation of a life led simply. It’s also usually really, really cute. 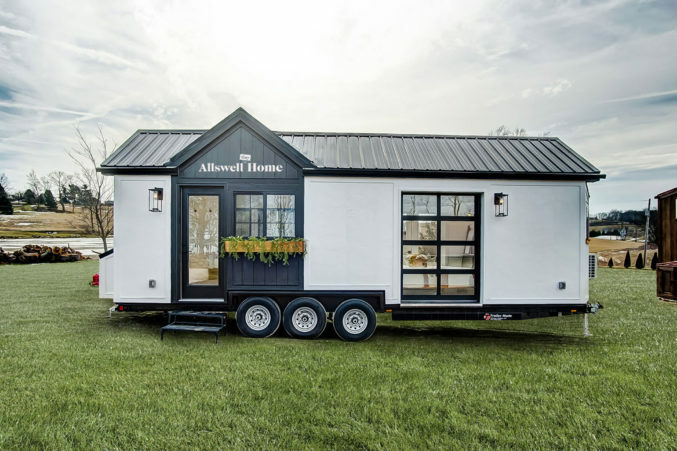 But whether you’re looking to take the tiny home plunge, or just want to get up close and personal with some seriously small square footage, Allswell, a digital home brand offering luxe, affordable mattresses and bedding, is bringing its Tiny Home Tour to Dallas. On Thursday, the 238-square-foot, fully functional home, which has making its way across the country since February, is making its first Dallas stop in Neighborhood Goods in Plano, where Allswell already has a presence. From Friday to Sunday, March 24, the Instagram-friendly home will head to 4513 Travis Street (in the old Trece location). Click to take a digital tour of the tiny, Allswell-stocked home before it arrives tomorrow. If you just can’t get enough (and have $100,000 to spare), Allswell will actually let you purchase and customize your own.